Giving a commencement address is a challenge. I wanted to honor the students, encourage them to take risks, and appreciate the value of making small contributions, which could have major impacts. 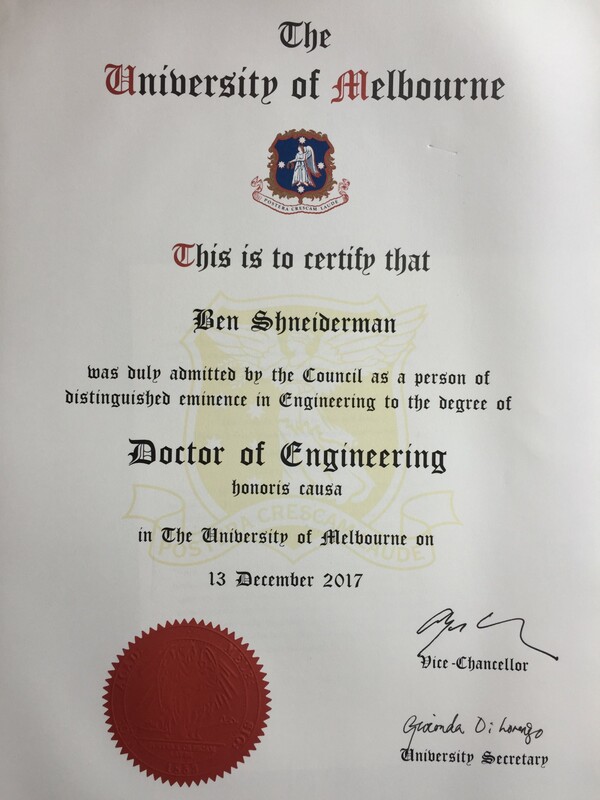 This talk was done in the beautiful Royal Exhibition Hall in Melbourne, Australia on December 13, 2017, where I received their honorary doctorate of engineering. Today is a day for students to celebrate — YOU are being honored for completing your education. You’ve shown your capacity to be serious, diligent, and creative! Each of you has taken risks, struggled with ideas, impressed your mentors, and built relationships. Bravo to all of you! And also to your parents and families! Getting your degree from the world-famous University of Melbourne raises your stature, but it only brings you to the starting point for your career — that’s why in the United States we call this event — commencement. You will have a whole lifetime of enjoying adventures and celebrating successes, but there will also be setbacks to recover from. Let me tell you about one setback I had as a graduate student in computer science. I attended a lecture by a respected researcher on the hot topic of structured programming. His talk led me to excitedly sketch out a new method of flowcharting for designing software. I shared my insight with fellow graduate student and dear friend, Isaac Nassi, who thoughtfully extended the idea, making him a co-author. We enthusiastically mailed our paper to a respected journal, and instead of waiting for months, we got a response in weeks. I eagerly opened the envelope and imagine what it said, I quote: “the best thing the authors could do is collect all copies of this technical report and burn them, before anybody reads them… it shows the inexperience and ignorance of the authors.” The reviewer referred to our idea as “ridiculous” and “silly”. We were shaken, but encouraged by supportive comments from others, we pushed forward, by sending a revised paper to a widely-read newsletter for programmers. Its prompt publication brought worldwide positive reactions, which led to widespread adoption among practitioners, followed by numerous refinements, plus dozens of textbooks teaching our method to students. Then hundreds of commercial software tools, dozens of patents, and an international standard secured our place in programming history and in the pages of Wikipedia. So my ridiculous and silly idea became a huge success. I learnt a lot from this experience, and the take away message is that: New ideas are often rejected by those who can’t accept something different. My work on high-precision touchscreens was another great story of struggle to overcome existing beliefs. We wanted to improve early touchscreens, which required 1-inch square buttons. Our team made a dozen refinements to get the high precision that enabled us to build a tiny typewriter keyboard that was just 3-inches wide. We ran tests with 12 users typing common sentences, but a journal reviewer did not believe it was possible. A video finally convinced the editors to publish the paper, leading Steve Jobs to visit our lab at the University of Maryland, so I know how that idea became integrated into billions of mobile devices. Breaking free into new ways of thinking enabled our team to pioneer touchscreen home controls for alarms, heating, and entertainment, and even the little idea of swipe to open. A third story is about developing the idea of highlighted links in a sentence which users could click on to get what they want. It was integrated into the World Wide Web by Tim Berners-Lee, thereby empowering users around the world. Sometimes a little idea like the highlighted link becomes an important part of a larger influential project. My second take away message is that: Small contributions can be like tiles in a large mosaic — each tile is important. Every one of you is capable of making a small contribution that could bring about a big change. I’ve always had great success and satisfaction in working with students and colleagues. If you keep an open mind to what others say, you could learn a lot. If you are forced to clarify your thinking to convince others of your idea, your work will get stronger. So the third take away message is: Find trusted partners, work in teams, build your networks. Be generous! Finally, be sure to thank the mentors who help you, the doctors and nurses who care for you, and the parents who believed in you. Think carefully about what you can do for others. Be a caring friend, a helpful neighbor, and an honest citizen. Align your heart with your mind; balance passion with rational thinking; then get into action. There’s a lot that needs fixing, and every one of you can make a positive contribution. So start with creative ideas even though others may think they are ridiculous and silly. Then team up with people you like, refine your ideas, and contribute to something great. We need everyone’s help to build a better world…improve healthcare delivery, ensure environmental sustainability, promote community safety, and stop fake news… there’s lots to be done, so let’s get started! Ben Shneiderman’s work has had an immense impact in research and commercial applications. He was a key founder of the disciplines of human-computer interaction and information visualization, developing central ideas and bringing together other leaders to form successful communities. His visionary leadership and capacity to bring people together triggered academic conferences, journals, and departments, while his close relationship with key companies help propagate his research results that contributed to the World-Wide Web and widely used touchscreen strategies on mobile devices. Later in his career he designed influential visualization systems that have reshaped expectations about how to explore and present data in business, medical care, and public policy. Ben Shneiderman was elected to the prestigious U. S. National Academy of Engineering in recognition of his pioneering contributions to human-computer interaction and information visualization. He is also a Fellow of the American Association for the Advancement of Science (AAAS), a Fellow of the Institute for Electrical and Electronic Engineers (IEEE), a Fellow of the Association for Computing (ACM), and the National Academy of Inventors (NAI). Ben Shneiderman is a Distinguished University Professor at the University of Maryland’s Department of Computer Science and the University of Maryland Institute for Advanced Computer Studies (UMIACS). He is an outstanding and engaging speaker, who is sought after to deliver public lectures as well as scientific keynote addresses. Prof Shneiderman’s is an excellent writer as well. His books Designing the User Interface, now in 6thEdition (2016), and Leonardo’s Laptop (2003) have earned numerous awards and been translated into eight languages. Prof Shneiderman’s research on information visualization enables exploration of complex data that describe key phenomena, with application to businesses, social networks, and electronic health records to name but a few. He led research teams that developed the ideas for widely used and commercially successful visualization tools such as Spotfire. He is a key proponent of open source successes with treemaps for hierarchical data and the NodeXL tools for visualizing and analyzing network data. Prof Shneiderman was instrumental in developing the selectable link of the World Wide Web and the small touchscreen keyboards that are so prevalent in smartphones and other devices. His research and advocacy for universal usability have been important in helping to ensure information is accessible by diverse users. 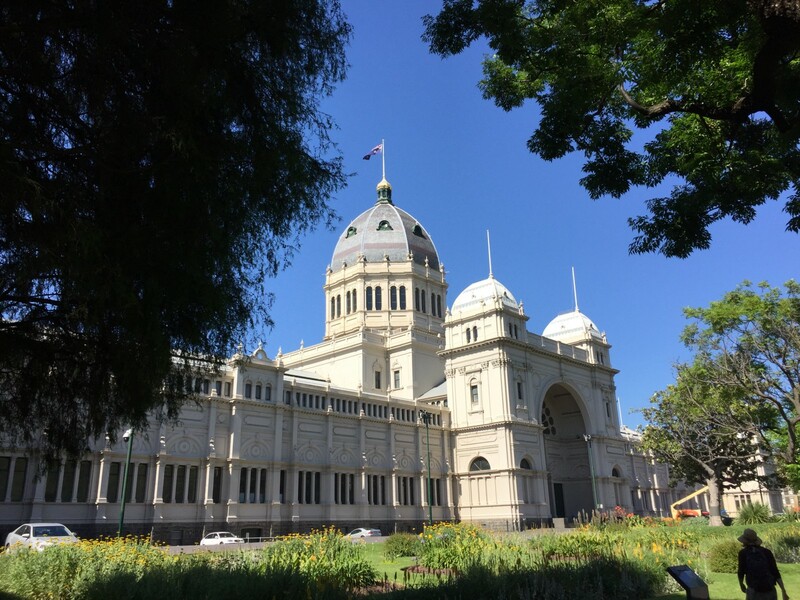 Prof Shneiderman ideas have a significant impact on the University of Melbourne’s academic curricula and strategic direction. Prof Ben Shneiderman’s books are key references in Human-Computer Interaction and in Computing at large. Prof Shneiderman’s latest ambitious effort is to transform academic research so that it has greater societal impact. His book The New ABCs of Research: Achieving Breakthrough Collaborations (2016) lays out a visionary plan for achieving the twin-win of excellence in basic & applied research that also produces practical solutions that are disseminated widely. This book has been critical is providing the foundational framework for the MSE2025 strategy. In the book, he explains how team collaboration can lead to research breakthroughs that bring highly cited papers with validated theories and tested solutions that can be disseminated at scale. Shneiderman’s strategies are designed to address key problems of our time such as healthcare delivery, energy sustainability, community safety, cybersecurity, and environmental preservation.